There's a welcome new addition to the increasingly foodie quarter of Cambridge - the cluster of restaurants behind the Market Square stretching from Peas Hill to Kings Parade - and it has just elevated the city's sushi wars to new heights. 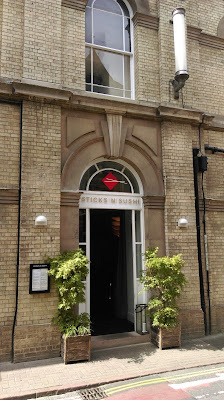 For here sits the newly opened Sticks 'n' Sushi, a swish sushi restaurant occupying a gorgeous old council building known as the Old Reading Room. Flanked by Jamie's on one side and a stone's throw from the ever-popular Pint Shop, Sticks 'n' Sushi has landed in exactly the right spot at precisely the right time. It is good. Interiors and service are slick. And it feels like it has been here forever. There's a nice vibe going on at Sticks 'n' Sushi. High ceilings (without the disaster acoustics of Jamie's next door), a beautiful central bar, and simple banquette seating and tables lining the walls. There's a hushed air and good lighting, plenty of still and calm, punctuated now and again by a burst of activity in the kitchen or the perpetually smiley staff greeting new customers.  The staff glide by, stopping off here and there to offer help, suggest dishes, ask for feedback, and allow us plenty of time to delve into the menu. It's extensive. We decide to browse the menu over a couple of glasses of (incredibly reasonably priced) Champagne because there's a lot to take in, plus photos. Some might not like the idea of choosing your food by its picture but it was really useful; how many of us actually know sushi well enough to pick from a long list of names? The menu, or photo book, simplified things. There were smaller bits and pieces (bites and sides), plates of individual items like carpaccio, single sushi, sticks, sashimi, and larger sets of sushi and selections to feed the whole table (from 2+ people). The drinks menus were also vast and featured cocktails as well as wine, beer, and some very tempting sake concoctions. The food is perfectly accessible for the sushi novice. We worked our way through nibbles of grilled edamame beans (deliciously salty and charred), fried Jerusalem artichoke chips with a decadent miso aioli (spot on with our Champagne), and crab croquettes with a fluffy filling inside and perfectly crisp outside, served with a little dip of wasabi caesar sauce. We planned to give the Sticks 'n' Sushi Table for 2 plate our best shot, perhaps moving on to order some individual sushi later on. Not required. The sharing plate was a real feast, and more than enough to keep us going. 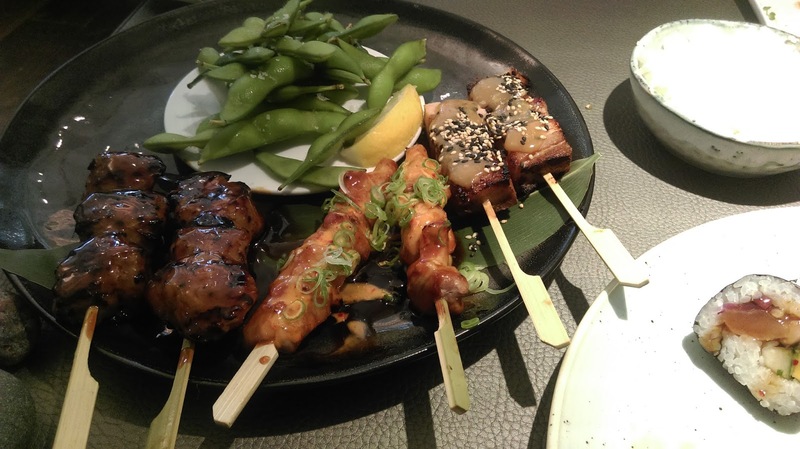 It featured a great selection of nigiri, some maki, and the restaurant's signature meat on skewers, aka sticks. There was also rice, more edamame, and the familiar condiments of pickled ginger, wasabi, and soy sauce. We loved the super fresh fish, the sea bass nigiri in particular were fantastic, and the spicy tuna maki and gypsy rolls were beautifully crafted with a huge kick of savoury spice and textures. We dined as guests of the restaurant on this occasion.